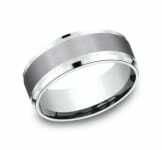 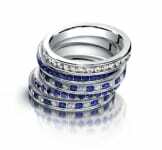 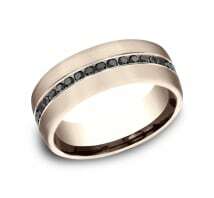 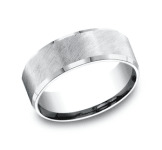 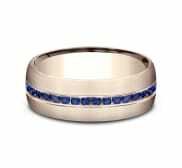 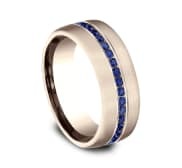 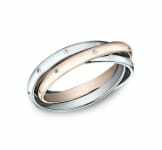 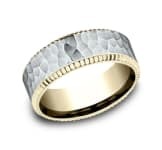 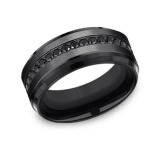 This remarkable satin-finished 7.5mm comfort-fit band features 20 channel-set round ideal-cut blue sapphires. 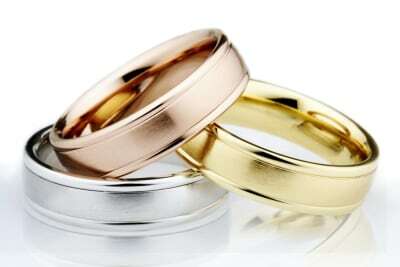 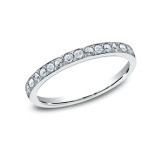 Total carat weight is approximately .40ct. 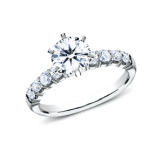 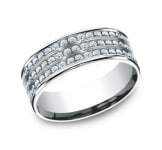 The hardest substance on earth, diamonds are a true symbol of deep everlasting love. 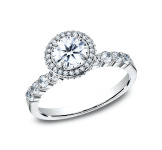 Benchmark’s diamond rings are made using only the most ideal diamonds available and machine set to create a work of art that will last for generations.